One of my favorite aspects of food blogging is getting to know other food bloggers. This community is filled with creative, inspiring, and fun people. I have a long list of food blogs that I follow. At the top of my list is Savoring Spoon! Sarah, the voice and cook behind Savoring Spoon, and I have been communicating with each other through our blogs for the past couple of months. She is incredibly sweet! We have so much in common. I’d say we are soul sisters. Now for a shocker…just recently, we discovered that she and Karl are currently classmates! It was such a surprise because all this time, none of us had a clue. I have not been good about posting regularly, but Sarah has given me lots of motivation, support, and blogging tips. With that, I give you roasted cajun pork tenderloin. I’m currently really big on meals that require little time to prepare. 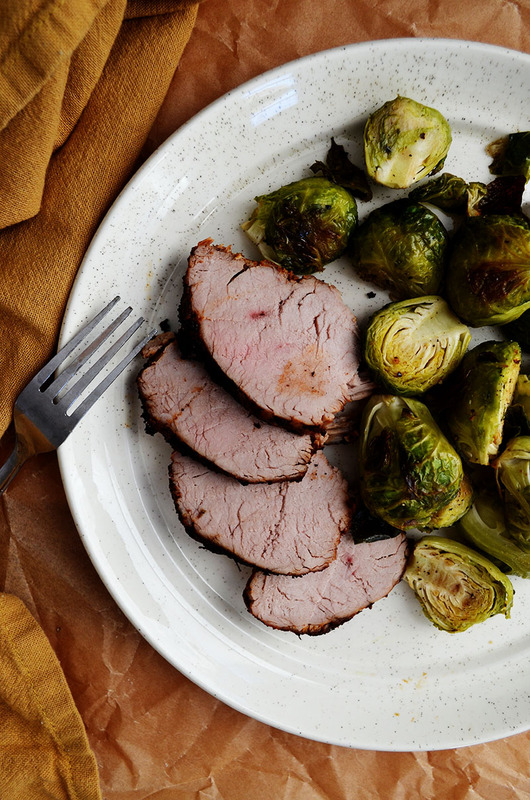 I never want to sacrifice quality or flavor, so I came up with a delicious pork tenderloin recipe that is super quick and easy. 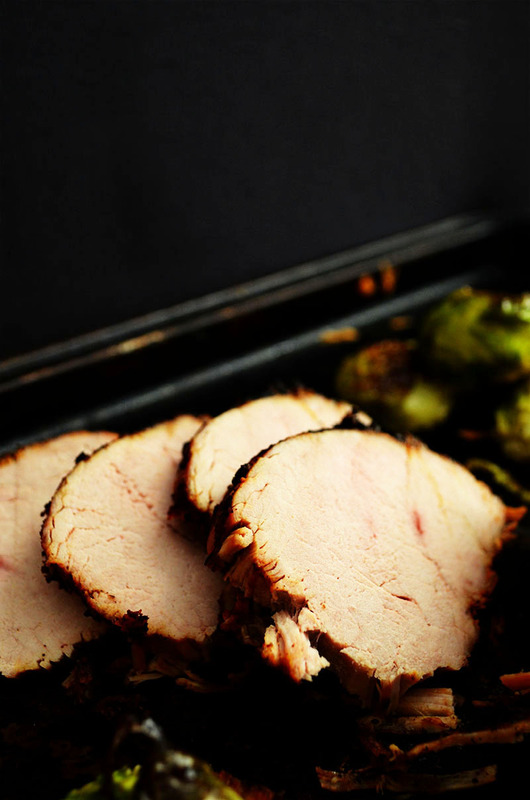 I wanted to spice things up and roast a pork tenderloin with a spicy cajun rub. It took me only five minutes to mix together the spices and rub it on the pork. The end result was amazing. I served this alongside roasted brussels sprouts, and it made a fantastic weeknight meal. In a small bowl, combine all the spices. Rub the pork with the seasoning over all sides. In a large skillet, heat up the olive oil over medium-high heat. Add the pork to the pan and sear it for 10 minutes, rotating it every 2 minutes and 30 seconds. Place the pork on a foil-lined baking sheet or on a rack in a roasting pan. Roast for 32 minutes (or about 4 minutes for every ¼ pound). Slice and serve. This entry was posted in Entrees and tagged pork. Hi Connie! Thanks for the shout-out! You are an amazing blogger and I’m always excited to read your posts! We are indeed very similar 😀 which i love! 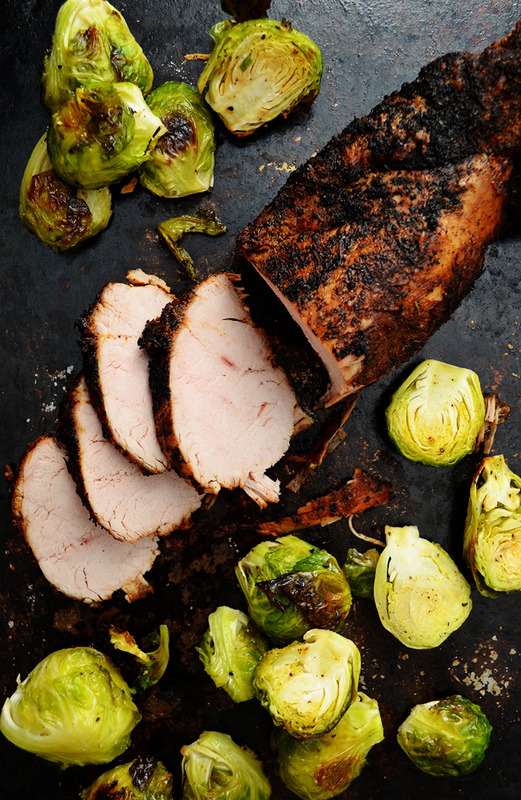 This pork tenderloin looks delicious, and I like that it’s a fast dish! I am imagining how I am going to make this on a weeknight and have yummy food in just 30 minutes. I’ll let you know how it is when I try it. Pinned!